We'd be honored if you visit our showroom, but for your convenience we'll gladly bring our showroom to you. Shopping from home permits you to see each sample under the lighting conditions and in the room where you plan to have it installed. You also receive advice from our experienced professionals who will measure your existing space free of charge, and recommend the best option based on your decor and budget. Stay connected to find out more! 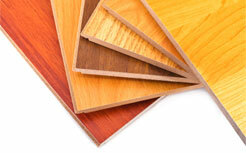 WHY CHOOSE ELM PARK FLOORING? "I am so pleased with the two jobs Elm Park just completed for me. The clients are extremely happy and your staff was amazing! I enjoyed picking through your many samples at your great showroom. LI Designs will be sending all their clients to Elm Park Flooring. I give them my highest recommendation." Elm Park Flooring is a highly respected specialty flooring retailer. 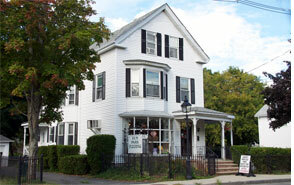 Located in Groveland, Massachusetts, we serve the flooring needs of individuals and businesses throughout northern Massachusetts and southern New Hampshire. A far better alternative to the big box stores, we can offer you a greater selection, better pricing and more personal customer service. Whether your home or business requires new wall-to-wall carpet, hardwood, vinyl, area or Oriental rugs, ceramic or glass tiles, your satisfaction is our ultimate goal. 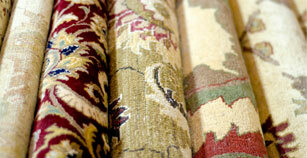 This website is designed to help you get all the information you need to select the best flooring option. Stop by our showroom to look through our incredibly large selection of flooring options. While you're there, consult with a professional trained in flooring and decor, pick up samples to try in your home, and see for yourself why Elm Park Flooring is the area's first choice for flooring selection, expert installation and specialty services. Powered by Richard J. Butler Jr.